MOSCOW, Russia -- Ukraine expects Russia to resume supplies of gas from Monday after Kiev transferred a pre-payment of $378 million to Gazprom, its energy minister said on Sunday. 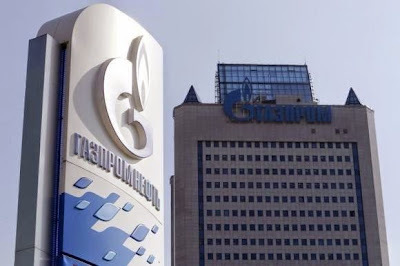 But with freezing temperatures and in line with a deal signed by Ukraine's gas company Naftogaz and Gazprom in October, Kiev late on Friday transferred $378 million to the Russian gas giant as an upfront payment for 1 billion cubic meters of gas for December. "We have paid a sum for 1 billion cubic meters. From Monday we will start receiving." Russia, whose relations with the former Soviet republic are politically complicated by its support for Ukraine's separatist rebellion, had insisted Kiev pay for supplies in advance. Demchyshyn said on Sunday that the country was consuming more than 200 million cubic meters of gas a day, 55 million of which came from Ukraine's limited domestic production, 120 million from reserves and the rest from so-called "reverse flow" supplies from neighboring European Union countries.